When we began to talk to people about their workplaces, we soon realised that we needed to locate our inner child and create a Den. 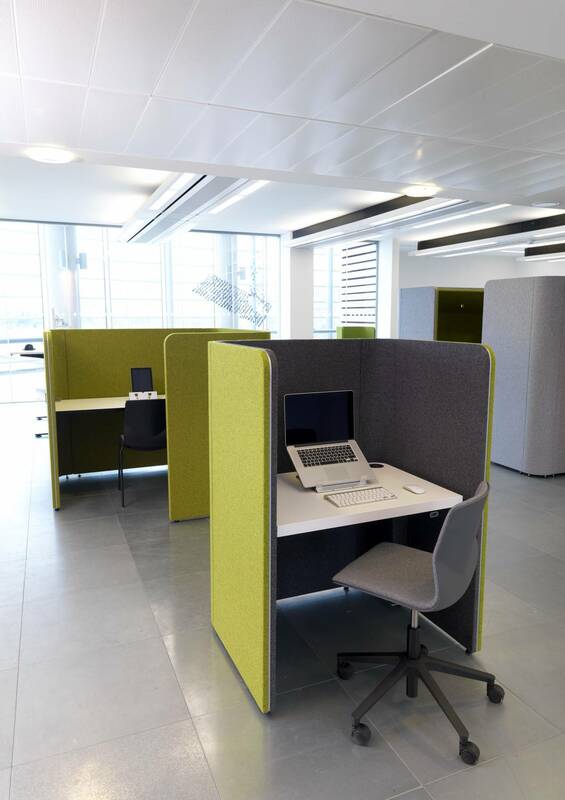 Den is a range of acoustic work areas created to make public spaces private. With eight different styles, numerous configurations and a full array of accessories, everyone has the opportunity to build their ideal Den. In every open-plan work area, there are times when you need to find your own space. 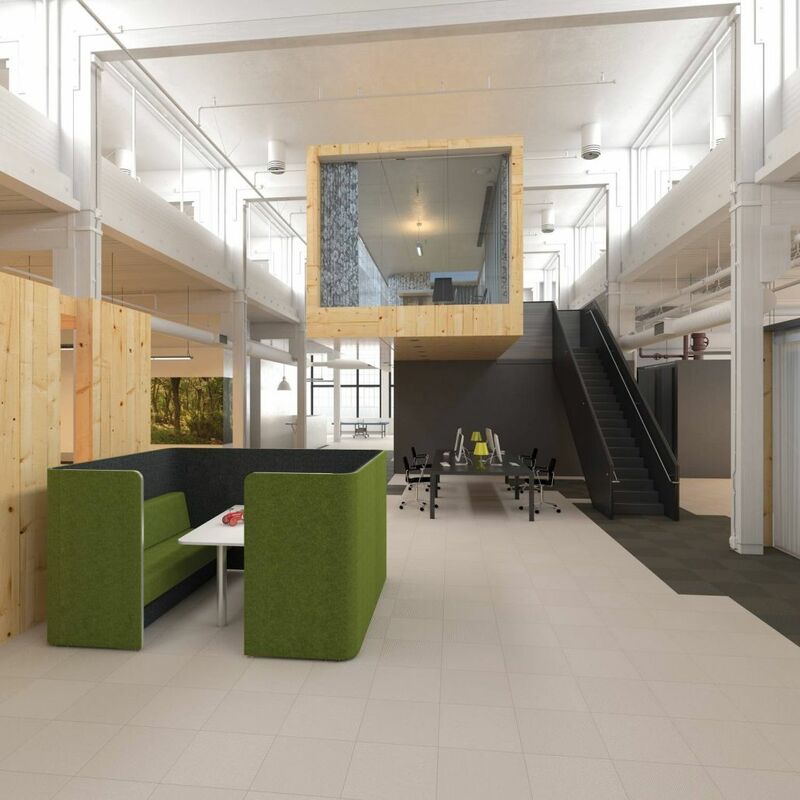 The environment we work in has to facilitate both the privacy needed to concentrate and the space needed to collaborate. Den is a range of acoustic work areas created to make public spaces private. With eight different styles, numerous configurations and a full array of accessories, everyone has the opportunity to build their ideal Den. In every open-plan work area, there are times when you need to find your own space. The environment we work in has to facilitate both the privacy needed to concentrate and the space needed to collaborate. The workplace has evolved as new technology has changed our working habits. 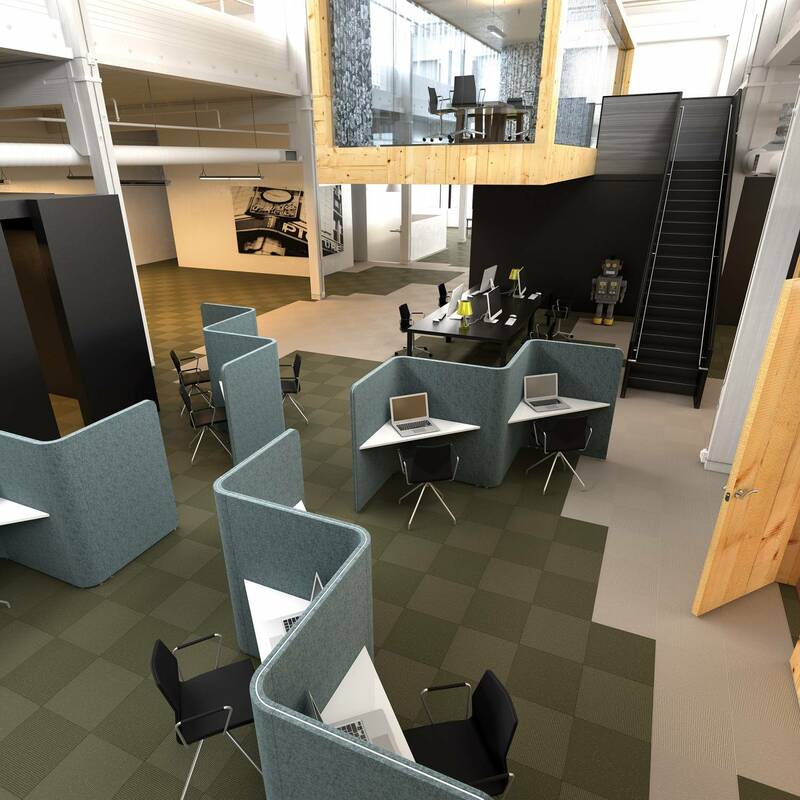 Large open spaces with shared working areas create lively exciting environments, which cultivate greater collaboration. But what happens when you need a quiet area to reflect on a budget, hold a meeting, or even talk on the phone? When we began to talk to people, we soon realised that we needed to locate our inner child and create a Den. 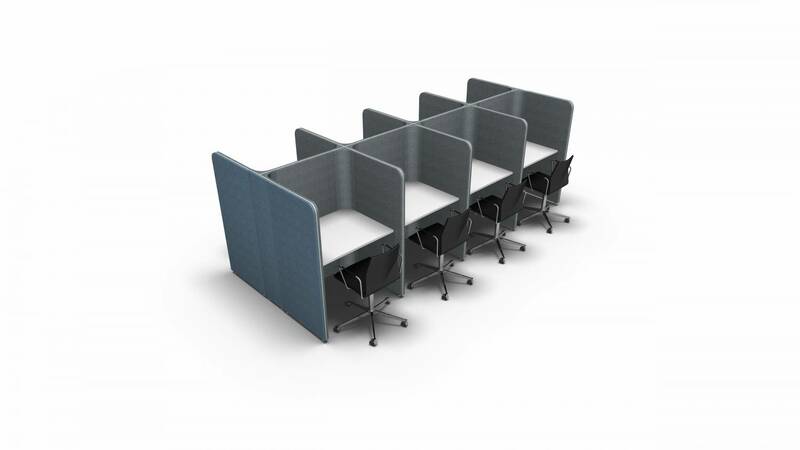 Den is your noise barrier, acoustically enhanced to separate you from the hubbub of the workplace. Den can have power, reading lights and data connectivity. Worktops can be positioned to suit your working style, and soft seating can make your Den a comfortable retreat. 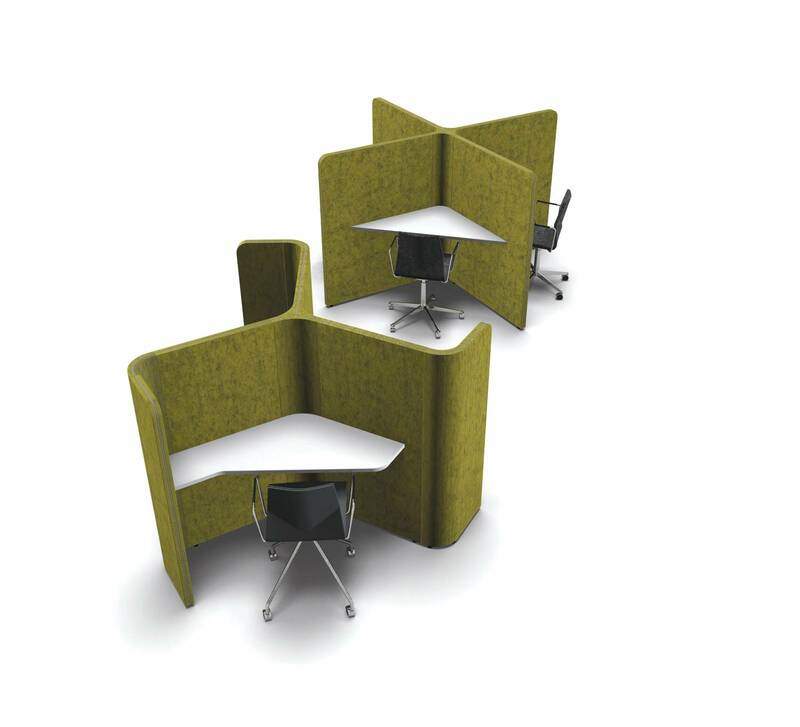 Den Panel has been created to offer free-standing acoustic panels to complement your Den configurations. A newly designed discreet foot neatly supports the panel without creating any trip hazards or extending the overall footprint. Both a full circle and semi-circle option are available to cater to specific needs. The joy of creating such a flexible system is that we can create a Den to match your specific needs. Den offers the latest technical specifications, from Bluetooth connectivity to video conferencing. Den worktops can be positioned to suit your working style and the soft seating makes the Den a comfortable retreat. 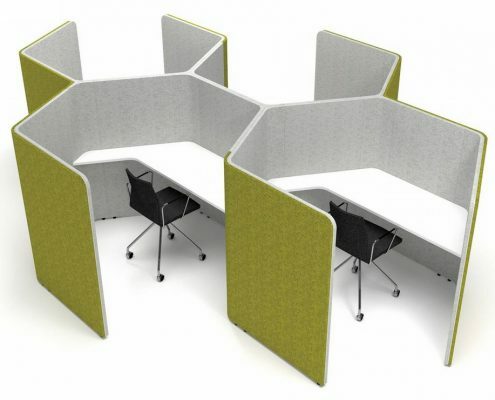 The Den is available in eight styles including Den.Booth, Den.Cube, Den.Curve, Den.Dining, Den.Honeycomb, Den.Panel, Den.Spoke, and Den.ZigZag. 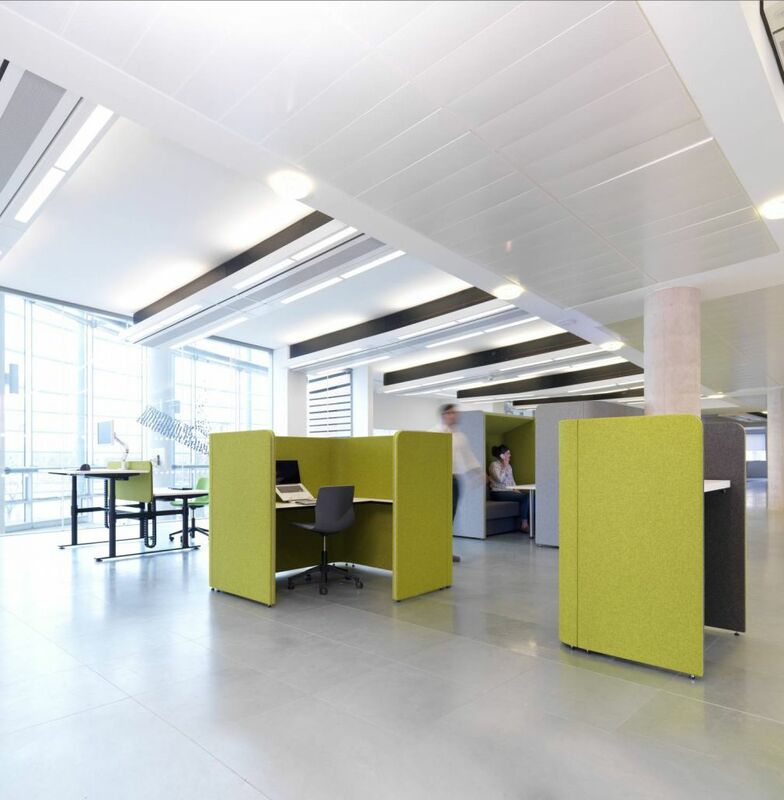 With an endless amount of workspace configurations, the unique workspace solution enables its components to fit within any office layout.